AAA State of Play Blog: Why is it Important for your Kids to Play Outside? Why is it Important for your Kids to Play Outside? Kids don't want to go outside when they are busy playing with PSPs and computer games. But if you want to keep them active and healthy, take the kids to the playground regularly. They will love playing with their friends and explore new stuff. Kids are full of energy and it is your job to make them utilize it in right things, which is beneficial for them. Children become physically fit and master the skills that cannot be developed at home. Activities like running around, jumping rope, trying hand at play sets keeps them active. Studies have showed that children who play regularly outside are fitter and healthier than the kids who stay inside. Interacting with other children also increases the confidence level in them. They learn to cooperate with each other while playing on the same playground equipment. The play sets installed in outdoor playground should be suited for the kids and must comply with necessary safety measures and quality standards. You can choose the playing equipment for the community, school or church playgrounds from AAA State of Play. 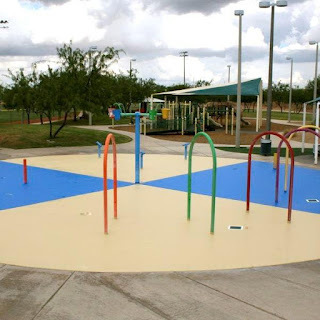 We have different kinds of playground equipment that meets National Safety Standards including CPSC guidelines as dictated by ASTM F 1487-01.